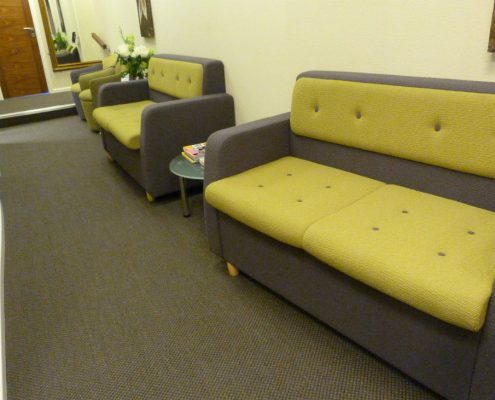 Sharoe Green Dental previously came to Bevlan for their reception seating in the past where we supplied Giggles and Ballara sofas in a grey and brown fabric with a funky pattern. 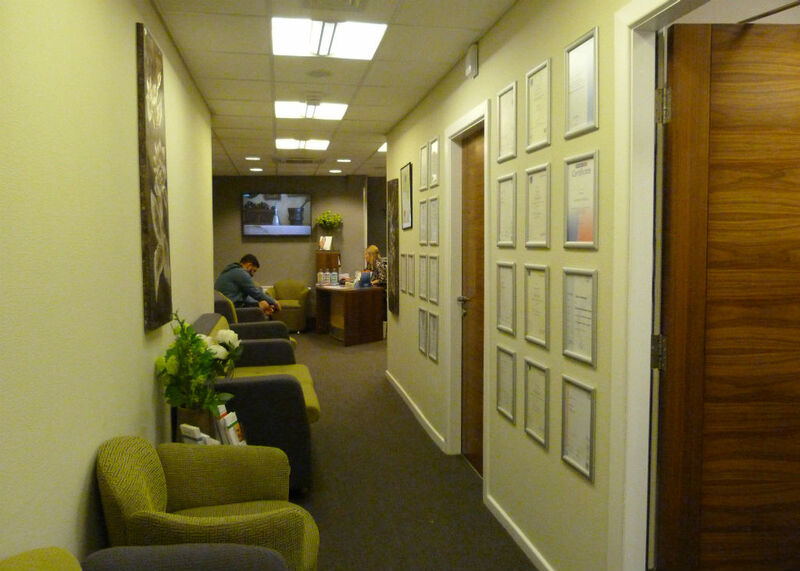 While these have lasted the 5 years and look great, Sharoe Green decided it was time for a revamp and Carole Livesey, our sales representative for the Preston area, worked alongside Lesley Holden to redesign and brighten up their reception/waiting area. 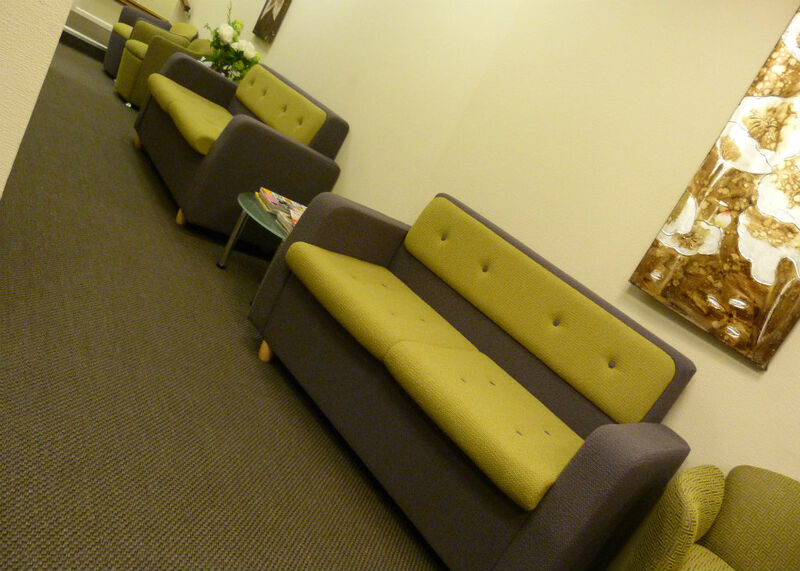 For the reception seating we used the Chico individual chairs and the Mingle two seater sofas. 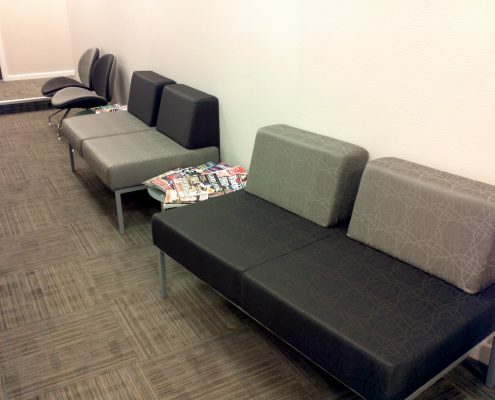 Using the Chico chairs as they give more arm support for people waiting than the Giggles that were previously used. 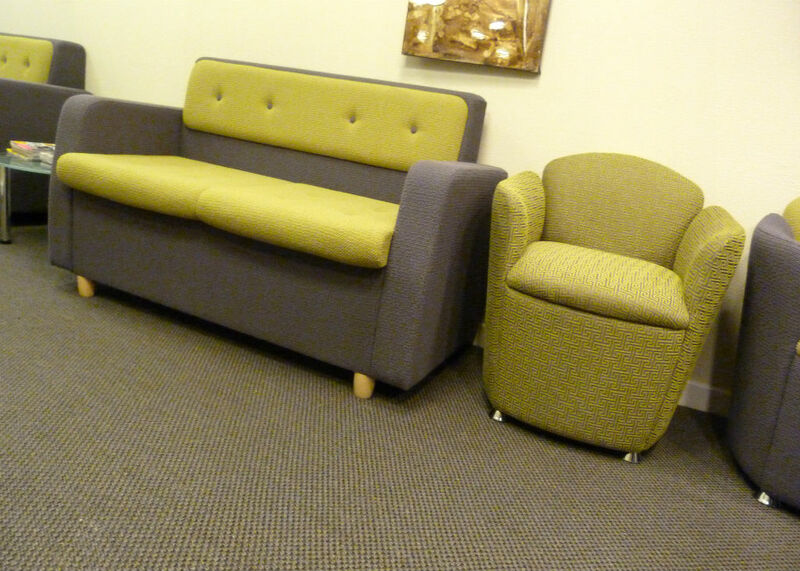 Three of the Chico’s were created as feature chairs for the reception seating, they were supplied in a Olive Oasis fabric from the Panaz fabrics range, which is almost like an aztec type pattern, this makes the chairs stand out from just the plain fabrics usually used. 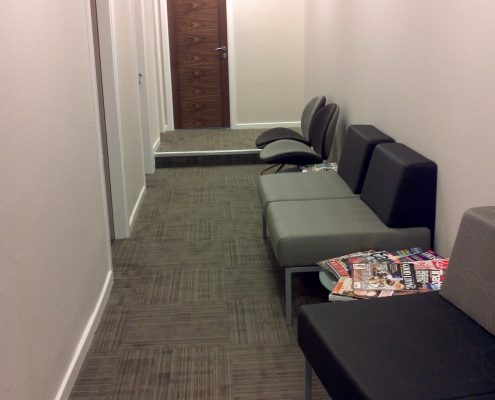 The other three Chico chairs were supplied with an Olive Green seat pad with Graphite body. 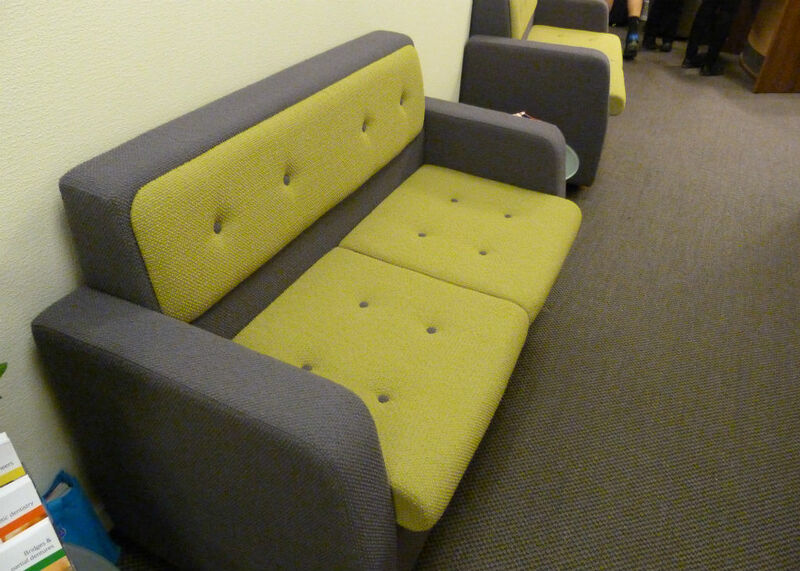 Also adding to the reception seating were the Mingle two seater sofas with a Graphite body and Olive Green seat pad and head rest with Graphite button detail, finished off with wooden legs. 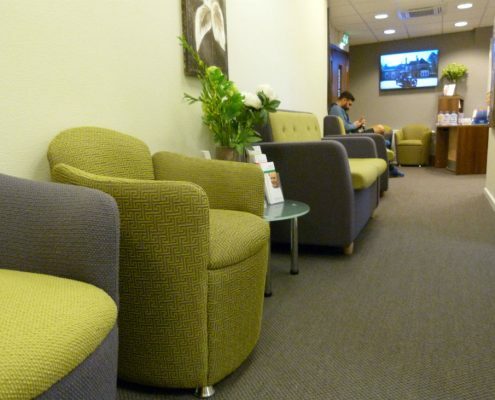 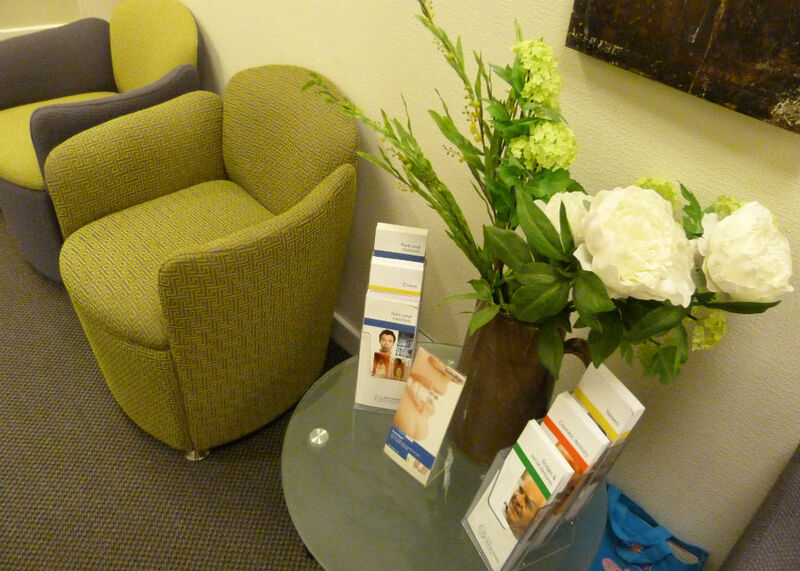 Overall the reception seating now gives a welcoming bright feel for their customers to relax while waiting.